Home/Blog, business, Website/Overworked and understaffed? It’s time to outsource. Running a business can be difficult. It can seem impossible to find the time to take care of your family, let alone have a personal life. And some tasks probably seem particularly burdensome. Maybe the type of work just isn’t your strong suit, like writing or accounting, or you just have more important things to do at the moment. An increasingly popular solution to this problem is outsourcing. According to the data-research company IBISWorld, outsourcing was $32 billion industry in Australia as of January 2018. Start by talking to your friends and fellow business-owners. They might have experiences and pointers to share, as well as freelancers or websites to recommend. Ask them how much they paid, how they hired their freelancers, made agreements, and set deadlines. Find out if they were happy with the experience or wish they’d done something differently. Hiring a freelancer is a fairly easyprocess but does have its pitfalls. The industry is not well-regulated, and it can be difficult to know whom to trust – you can’t look someone in the eye and read their body language. Do your research and make a list of questions you’d like to ask. It’s a job interview and you should treat it as such. A goodproject description will help attract quality freelancers. It will show that you know what you’re doing and have clear guidelines and expectations for the job you want done. Websites such as Upwork, Taskarmy, onlinejobsph and Freelancer take some of the guesswork out of outsourcing. If you need design work, take a look at 99Designs, which allows you to choose from many different designers. You can expect to pay from $399 to $1,599 to have a professional create a logo for you. These online marketplaces allow you to browse freelancer profiles and look at examples of completed work, as well as read reviews from previous employers. When you set up your project on the website you can go through and invite freelancers to apply or wait and look through the applications that are sent to you. Freelancer rates will be posted on their profiles, and you can set your desired rate when you create your job. You will probably receive bids from all over the world, including Australia. In general, you can expect to pay less for freelancers who work in countries such as India, Malaysia, or the Philippines. The cost of living is lower there, so you can still attract well-educated and competent people. However, the saying, “You get what you pay for” still applies. Hiring workers overseas comes with all the risks of hiring locals, plus a few more to boot. Plan well and make sure keep lines of communication open. You may want to seek legal advice before outsourcing. 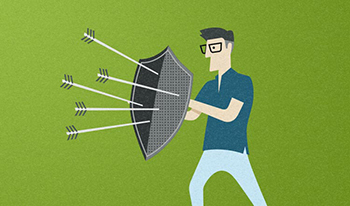 Many freelancers make fine, dependable staff members, but don’t trust 100% at first. Start with small, unimportant projects to test their skills and ability to deliver on time. When you decide it’s time to move on to a larger project, divide it into sections so you can monitor performance over time. You can limit access so that certain people can’t edit, delete, cut, or export files. Password management programs such as LastPass makes it easy to change your passwords if necessary. If you do your research, start slow, and communicate clearly, you should soon be able to hire trustworthy freelancers who can help you with all those little jobs that may be piling up around the office. 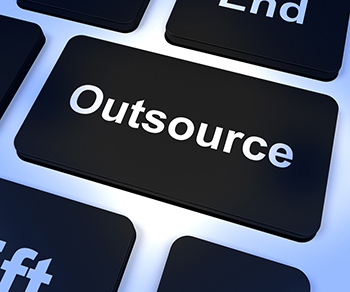 Need some help outsourcing? Have any questions or comments? Please don’t hesitate to get in touch.